A professionally designed website is the most cost effective marketing tool available in the world today! Web design is used as a general term to describe any of the various tasks involved in designing a web site. More specifically, it refers to jobs focused on building the front-end of a web page and website. A good web design is the key requirement for the success of any web site. Web design is about more than just arranging graphics and text in HTML - it's about how you want to communicate your message to your intended audience. We utilize semantic markup and all of our code validates with the W3C, insuring that our work is easily modified and understood by any professional developer, and there are no barriers to search engines locating and properly indexing your site. Our web applications are built to improve productivity, streamline workflows, enhance operations and refine collaboration. Whether you need a customized content management system, an online storefront, a multimedia platform, or a unique web application, our solution will be customized to meet your specific needs. 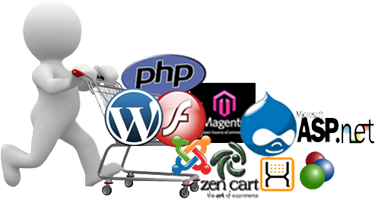 We embrace Asp.net, MSql, PHP, MySQL, jQuery, and AJAX when it comes to web application development. 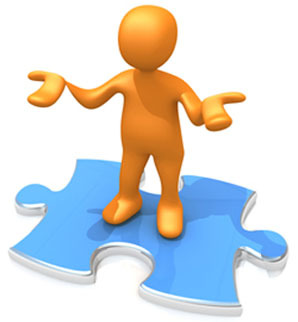 Our applications are build keeping in mind the clients requirements. We oftenly optimize databases to have speedy operations. Security and Scalability are always our partner in all the phases of our development process. We expertise in efficient and feature-rich Desktop Application Development and is highly appreciated and acknowledged by our clients. Since the inception of personal computers, Desktop Application has raged in popularity and has been a staple of technology. Many businesses across the world have been working with bespoke Desktop Applications for their convenient and smooth working of their business modules and structures. 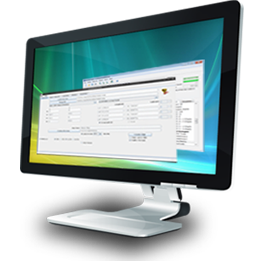 These desktop applications are like to many of their exclusive business processes like operations, management and delivery modules. 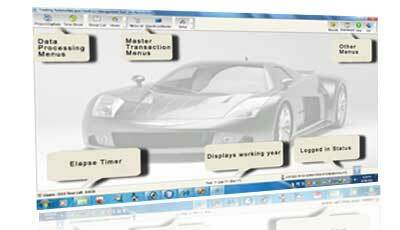 There are various advantages of this desktop application development solution. Some of them being an intuitive user interface experience, with the development of exclusive desktop applications you can have an out-of-the-world user interface experience. Our services and solutions to Desktop Application positively ensure that relevant attention is paid on the users’ convenience, it being extremely user-friendly. With the ultimate focus on providing our client’s with the most exclusive user experience and control, our in-house professionals ensure that these desktop management applications are custom-made to the specific requirement and usability criteria of our clients. We realise that the strength of your applications also depends on its function adaptability. With our exclusive Desktop Application Development services, we assure more adaptability. Our experience team of software and design professionals closely understand your business module and then create a unique architecture to your bespoke desktop application development. This architecture is then strictly followed by our programmers to develop that exclusive desktop application suiting the exact need of clients and their demands. Our marketing and client servicing executive maintain a continuous communication with our clients, thoroughly communicating and explaining our work process and developments. With our fundamental competency in application development and not being satisfied with the technical restriction of these traditional Desktop Applications we have taken a different approach to their development and deployment. This futuristic difference in approach has resulted in the benefits and flexibility of web technologies and deploying these straight to the desktop, thus increasing flexibility. We engage in designing and building Desktop applications that involve Visual Basic development, C# development, VB.NET development, ASP.NET development, Adobe AIR, JAVA Development - Swing and other technologies. Strategically-effective, risk-repellant and easy-to-maintain, our applications facilitate enhancements that are modular to upgrades and changes and hold proof against data thefts or technical mishaps. Our Desktop Applications development spans several platforms and languages. We believe that design is a dynamic process, and a designer's skills should be constantly refined and honed. We approach each project with a fresh perspective, ready to integrate any emerging or evolving design techniques that prove to be relevant. We design for you, based on your needs. We make sure every design is pixel-perfect, and fulfills all of your requirements. We don't sacrifice quality, and we don't compromise on usability. A design needs to be as functional as it is pleasing, and we design with both equally in mind..